In March of this year, we reported that the World Poker Exchange/Autumn Light Media London Open, won so famously in 2005 by Welshman Iwan Jones at Old Billingsgate in London, was set for an even bigger tournament in late September 2006 at the Whitehall Palace. That has since all changed albeit no formal announcement has been issued by the parties concerned. UK Poker News has been in touch with Autumn Light Media LLC, which is a boutique entertainment consultancy based in Las Vegas, and learned that World Poker Exchange have in fact dropped the tournament from their sponsorship schedule due to other priorities. UK Poker News had earlier learned from Iwan Jones that he had heard nothing from the organisers about defending the title. We now understand why this is the case. The initial fanfare in March announced that Thomas Kremser was to be Tournament Director of this “lifestyle” tournament which was widely expected to draw a wide range of celebrity Hollywood players as well as the usual line-up of top European and US poker stars hoping to compete for a mammoth prize pool expected to reach $3,000,000 for the $10,000 buy-in. The event would include lavish invitation-only parties with live bands and private tours of top London attractions. Last year’s event for example included back-stage passes to “The Producers” and private tours of the Royal Palace. It began with an invitation-only party for 1,400 attendees, with Grace Jones and rock band, Dirty Vegas, each performing live sets. That tournament was filmed for Bravo TV in the USA, which produced a prime time television special surrounding the overall event. This year’s event was planned to have been staged in the Inigo Jones' Palladian-styled 1622 Banqueting House at Whitehall Palace, which was once the largest Royal palace in Europe and was the primary residence of Henry VIII and Charles I. We await the outcome of negotiations with interest. 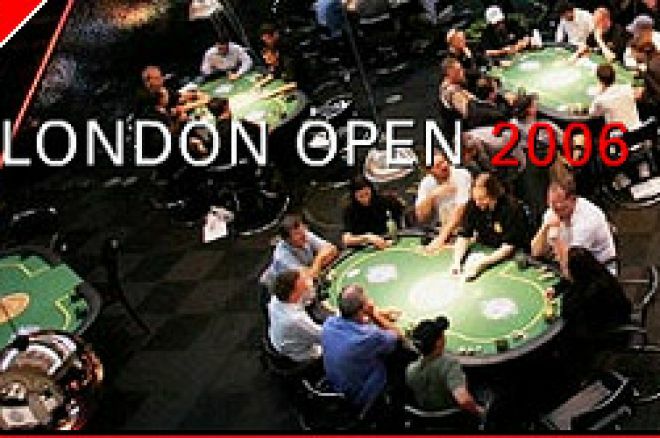 Ed note: One event sure to go ahead is UK Poker News’ special freeroll to qualify for the televised 888.com UK Poker Open. Download 888 Poker here to join the exclusive list of players in with a chance!